I have come to realize that some of the things that keep most people from fulfilling their potential in life are a lack of self-belief, an inferiority complex and discouragement. Perhaps you can relate to them as well. I know I certainly did to a large degree years ago. It is easy to put other people on a pedestal as they seemingly live meaningful lives while looking down on yourself. You may have tried and failed several things and perhaps never saw a way out of your situation. Know that failing is a part of life but you only become a failure when you completely give up on your dream. When you look at the Bible you will realize that God used less than perfect people to do great and mighty things to bring glory to His Name. 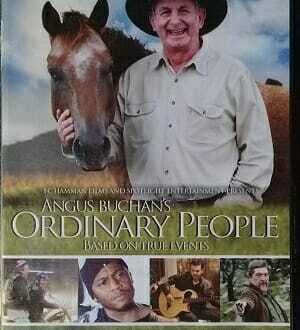 I watched a movie not too long ago called, “Ordinary People” by Angus Buchan, a farmer and evangelist. Based on real life events in South Africa, it is the story of three men who find their lives in a state of chaos and heading towards total destruction. These are Lucky Nzimande, André Cloete and John Peters. Lucky is a criminal who makes his living from hijacking and armed robbery. He finds himself in trouble when he tries to rob an ex-special forces police officer. André has problems with alcohol abuse and his relationship with his dad. John’s health, family relationships and business are getting out of control and there’s seemingly no way out of the hole. 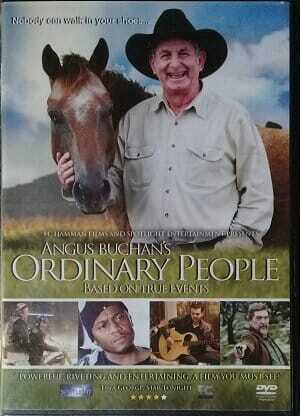 The story culminates in all three men attending the 2010 Mighty Men Conference on Angus Buchan’s farm. All three men experience transformation in their lives as they dedicate and re-dedicate their lives to the Lord. The decisions made by these men would go on to have a major influence on their communities and families as God uses them to reach other unsaved people. It’s a great family movie and one I would recommend you watch. If you have been feeling inadequate, not good enough, scared, anxious, then you are the perfect candidate for God. See yourself through God’s eyes and know that you can accomplish whatever you set your mind to. God uses ordinary people just like you and me. He is right there cheering you on because at the end of the day it is for the glory of His Name.